Throughout your travels, you'll likely encounter unsecured public Wi-Fi networks and other unknown networks. Since unknown and unsecured public networks are ideal targets for criminals or snoops trying to steal your personal information, your online privacy and security may be at risk while you travel. VyprVPN, the best VPN for traveling, encrypts and secures your Internet connection, preventing the government, hackers and third-party snoops from viewing your online activity, personal communications, sensitive information and data. With a VyprVPN account, you can connect to any of our 70+ server locations worldwide and keep your IP address, location and Internet traffic private. Due to government censorship and regulations in some places, there are a number of travel destinations that might have little to no access to some of your favorite websites and social media networks. With VyprVPN, the best VPN for traveling abroad, you can maintain access to your favorite websites and social media sites from anywhere in the world. 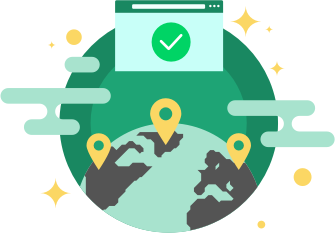 VyprVPN provides you with full access to our worldwide server locations so you can restore your freedom and bypass location-based IP blocking imposed by restrictive governments. 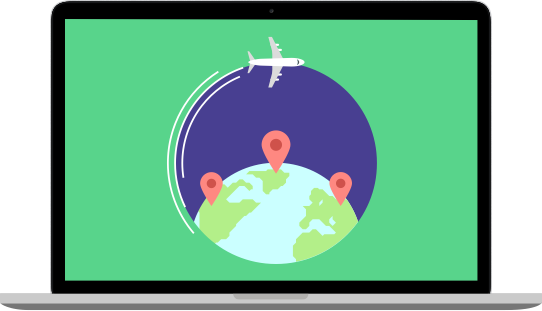 By signing up for the best travel VPN, you can access an unrestricted Internet and quickly share your memorable moments with your friends and family on Facebook, Twitter and Instagram. When traveling abroad, chances are you'll be using unsecured Wi-Fi hotspots in places like hotels, airports, public areas and coffee shops. These networks are prime targets for third parties and snoops trying to gain access to your personal information while you're browsing, communicating or shopping online. 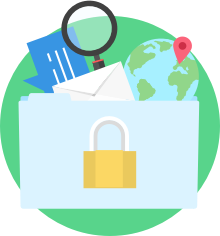 Some governments and networks may also collect information on the user, such as what sites you visit and your location. With VyprVPN, the best VPN for traveling, you don't have to worry about these invasive practices when using public Wi-Fi. 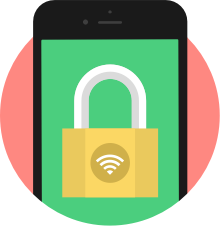 VyprVPN encrypts your Internet connection and keeps your data private when using your mobile or desktop devices.